What is the Enhancement System? These screenshots show my Gryphomon’s gains in CT and AT at enhancement level 4 for both. I’ve heard you can get more skill power from this system! This is true. Enhanceing AT will give you a bonus to your skill damage, represented by the skill’s damage turning green, and a symbol showing the bonus appearing on the skill’s status thing. The blue symbol shows that Solo Roar has +44 power. Does increaseing EV and BL do anything? Simply put… I don’t know yet. I find it a bit odd that DE can’t be increased, so it may be that increaseing these stats also buffs DE, or it may just be that EV and BL increase faster. Since I specialise in digimon who already have high evasion, and spammy skills, increaseing skill power is far more important for me. So how do you Enhance a Stat? Note that there is no Bit-Cost in GDMO. 1: Select the digimon you want enhanced beforehand, making it your active digimon. 2: Talk to Commander Sampson, at the bottom of his dialouge/quest list, there should be an option with the DATS logo next to it. 3: Click on the thing that says START. It’ll light up when you hover over it. 4: Click in the stat you want to upgrade. 5: Right click/Drag the appropriate D-Clone. The second box is for Backup Disks, which I’ll expalin later. 7: Music will change, and 16 cards will show up. Select one. 8: If the card is Sucess, your chosen stat will be enhanced. If it is FAIL, your items will be lost, and the stat may downgrade, or it may stay the same. [Unsure if it can fall below Rank 0]. A fail will not reduce rank if you use a Backup Disc. 10: To exit, click the X, or press ESC. Then, click the door with EXIT over it. These are cash items, and I suggest not purchaseing them from players, as they are a waste of money. It’s far cheaper to just put the stat back to where it was, especially as the chance of failing is rather slim. Backups sell for up to 80M. Backup Discs can also be obtained from killing Card Summons, but the drop rates are pretty low. 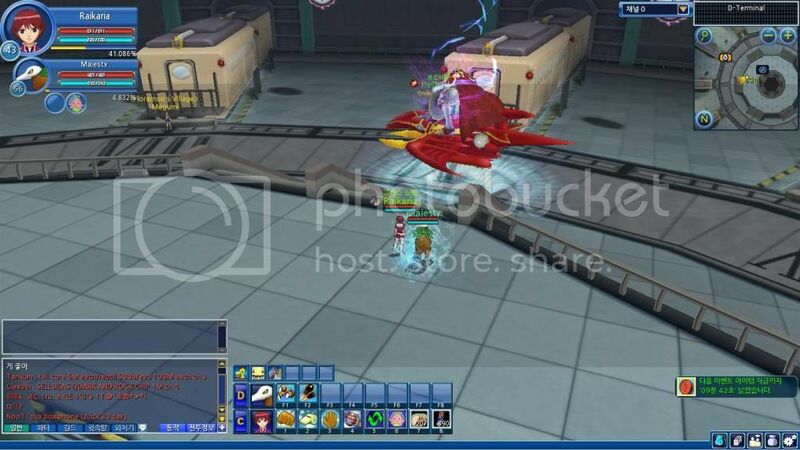 D-Clone A: Digimon Laberynth Mobs. Possibly D-Terminal BF2, but I’ve not heard either way on this one. As previously mentioned, the ehancement system cannot enhance a stat beyond +12. In addittion, the TOTAL enhancement level cannot surpass 24. In other words, you can max CR and AT, but have no room left for any enhancements to BL and EV. As you enhance AT, you may notice that the power of your skills will increase as well. After some testing, I have come to the conclusion that the amount which the skill damage increases by is correlated to the skill’s damage. The stage of evolution, DS Cost, Cooldown, or even skill level, have NO EFFECT on the increase in the skill’s damage. Well, skill level technically does, but only if you cross a threshold that makes the skill damage from enhancement raise. If you are using a digimon with quick cooldowns, or weaker skills, you certainly want to increase AT and CR, especially if they are reliant on Skillbreaking. Good examples of digimon like this are Gryphomon, LoadKnightmon, and MirageGaomon. This will increase your damage per second from your combos. If you are using a digimon who has high power, but a long cooldowns, such as both DORUmon lines, and Sephrimon, you might want to forgo some points in AT or CT, and increase EV or BL. This will help you survive high-level encounters, where your skills no longer OHKO, or if an agressive digimon attacks you during cooldown. As your Enhancement Rank increases, you gain an aura, as long as any stat is Rank +4 or above. You do not gain multiple auras for having multiple stats above +4. The highest takes precident. If you had +12 AT, and +9 CT, you would have the +12 Aura, and no sign of the +9. 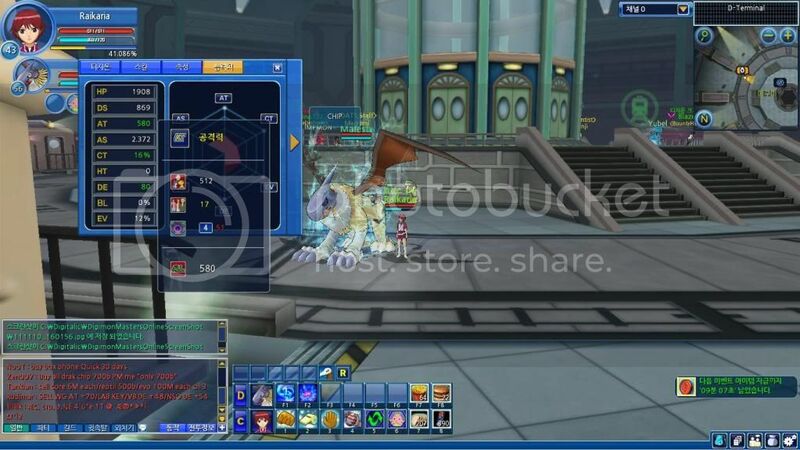 See the blue blades around the Gallantmon? This is a sign of his enhancement rank. My Kiwimon also has blades, tiny white ones, which are really not visible due to my level aura’s colour. The highest rank will have large, purple blades. 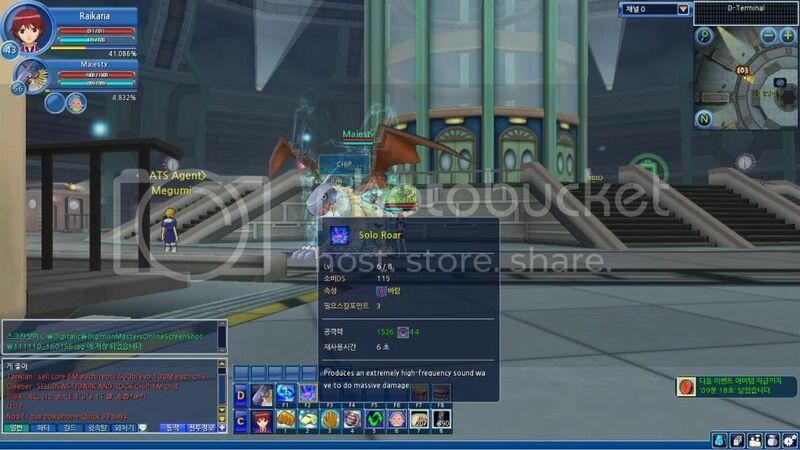 Unlike normal auras, which increase in stages, the auras for Enhancement increase for every rank above 3. Are the stat growths constant for all digimon, or do they change between digimon? If the rates are constant, digimon with a low AS, or low cooldown on their skills benifit FAR more from AT/CT increases than digimon with longer cooldowns, or slower AS’s. The possible bonus effects of EV and BL increases.